There is a lot of advice out there when it comes to investing in property and it can be hard to choose what advice is good advice and what advice is bad advice. What advice is looking after your interest and what advice is looking after the self interest of the person who is giving that advice? 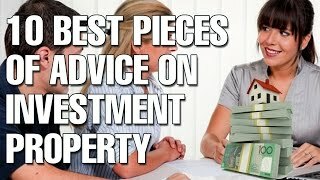 I try to steer away from giving specific property advice or suburb advices to people however I do get a lot of questions from people asking me for advice so I wanted to create this video of my 10 Best Pieces of Advice on Property Investment. This is not advice on what property to buy, what area to buy in or anything like that this is advice on how you can become a better property investor and how you can make more educated investment decisions. So many people go into the property market game and say “I just want to invest in property” or “I just want to be rich and make money.” But they have no clue about their investment goals and no way of knowing where they want to end up at the end of the day. I do think that is very important before you start investing to actually set a goal of what you want to achieve. Is it a passive income that will allow you to become financially free? If so how much passive income do you need each and every year to achieve financial freedom? For me that figure sits around $60,000/year. As inflation goes up I am sure I would need to increase it but that is my passive income goal at the moment. Or is it your goal to have a certain amount of equity and cash in the bank? 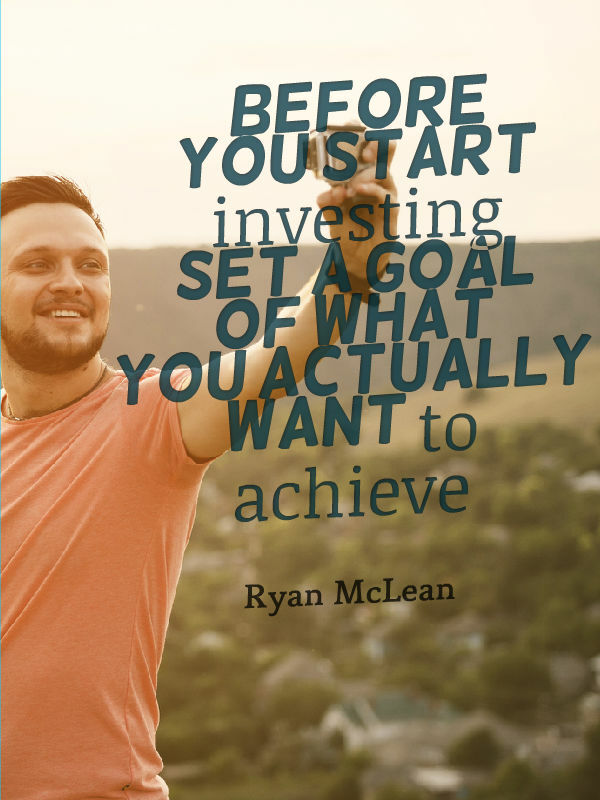 By knowing your goals before you go out and look at investing you can choose an investment strategy that’s most likely to move you towards those goals. When you are analysing property you can choose properties that are more likely to move you towards your goals. Rather than looking at the entire spread of properties inside Australia you can narrow down your properties based on the properties that are most likely to move you towards your goal and make you money. There are a lot of people who look at a couple of properties in a local area and they just buy one because it seems like a good property. This is not a smart way to invest and yes you can get lucky doing this but it is not actually a strategic strategy. What is more strategic is actually learn a lot about property investing before you go out there and invest. Learn how to research an area, learn how to identify good properties, learn how to inspect a property so that you can find issues, learn about the different investment strategies and different pieces of advice I am going to share with you in this video. Don’t just jump into the market! Start by investing in yourself and your own education so when it does come time to invest you are making a more educated decision. Don’t decide on an investment strategy too early. There are so many investment strategies out there. I’ve identified 21 common investment strategies, that’s a lot of different investment strategies. Depending on who you are and how you want to make money, what your financial goal is and your risk factors are that will depend on what strategies is best suited to you. What generally happens is when you go to read a book or you go to a seminar you learn about one particular investment strategy and you go “YES! This is it for me I am going to smash it, I am going to make money this way!” But it may not necessarily be suited to you. There are a lot of different ways to make money so don’t decide too early on what your investment strategy will be. Instead, learn about all the investment strategies first before you decide. Once you do decide on a strategy become a master at it. Maybe your strategy is renovation, become a master at it. Do the courses that will teach you about renovating and learn everything you can about renovating for profit. If your strategy is positive cash flow there is no point in learning everything there is to know about renovating. You want to become a master in positive cash flow. How do you find positive cash flow properties, how do you increase your rental yield etc. Learn all this inside On Property Plus. Whatever investment strategy you do end up choosing become a master at that strategy because the more you know the more likely you are to make a good investment. I had a bad experience with a mortgage broker back when I was 20 I was trying to do my first property deal and it turned me off mortgage brokers for a long time. 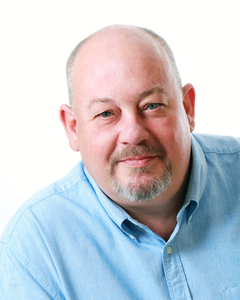 However know that I live and breathe property I understand how important a mortgage broker is. A mortgage broker will help you understand how much you can borrow, teach you what you need to do in order to prepare to get that loan and will enlighten you as to how the whole process works. Mortgage brokers are really important because if you just go you your bank that might be the one bank that doesn’t take rental income into account (it happened to me) and therefore they can’t lend you any money. Or you might get the one bank that doesn’t take commissions into account and therefore they can’t lend you any money. By just going to one bank you are not getting the full picture of what your borrowing capacity is or what you could achieve financially through lenders if you were to go through a mortgage broker. Mortgage brokers have access to over 30 different lenders and they can show you everything out there and what you can and can’t get and they can really help you create a strategy to purchase that property. If you want my recommendation of what a mortgage broker currently, my mortgage broker is Brad the broker and he is awesome. Involve a mortgage broker early on they can get you pre-approval so when you are looking a property you already got that pre-approval for your finance and then all you need is an evaluation. The yield on this property was huge like it was $400 per week and the property was for sale for about $220,000.00 however when we looked into that property in more detail we realised that it was rented to university students which means that property could lie vacant for about 3 months out of the year when no one is going to university. There was also a large body of corporate fee’s on that property that sucked the cash flow right out of the property. This property seem too good to be true and on the surface it seemed ok but when we actually dug into it it turned out to be just a regular investment. You also need to be careful of deals that seem too good to be true that are being sold to you by someone often they are too good to be true, they are overpriced so just be careful always do your own research. Don’t expect someone else to do your research for you. Inside my members area I do a lot of research for people. I list positive cash flow properties every single week and provide research data on those properties. Things like population, previous sales price and a bunch of other statistics about that property. However, I do expect all of my members to go out and do their own research into that suburb and into that property. They can’t just go off what I say and I don’t think you should ever go off what someone else says. Learn how to do your own research so at least then if somebody is providing research (like I provide research to my members) you can then go verify that and back it up. In a lot of circumstances a lot of the research that is provided (especially on house and land packages or off-the-plan purchases) are actually provided by the developers. This is a clear conflict of interest as they make money by selling the property to you. So can that data really be trusted? Learning how to do your own research means that you won’t be swayed by false data. If you are looking at a property you should look at how much rent is going to come in and what the expenses are going to be. How much body corporate, how much insurance, how much are council rates etc and getting an idea of how much the cash flow will be. That will help you to know if you can afford this property and whether this property is going to generate enough profit for you to actually warrant purchasing it. By doing a cash flow projections early on you can actually cut out a lot of properties you may have wasted your time on going to the open house. You can really narrow it down to the properties that look like they are going to be the most profitable for you. You can do this by hand (a more detailed video on how you can calculate positive cash flow properly). I also have the Advanced Property Calculator which you can use to analyse the potential cash flow of a property in 3 steps and under 10 seconds. Get around like minded people by talking about your investment goals and how you want to achieve financial freedom with people who are aligned with you and your goals. By getting around like minded people, people who are interested in property, people who want to achieve their own financial freedom, you can help each other move towards success. They will drive you along and you drive them along. The bible says “as iron sharpens iron so one man sharpens another man” something like that. Basically as we rub up against people who are like minded or who are further along with us they make us sharper and move us towards our goals. I have never really had a mentor in my life I have always found it very difficult to find people who move at the same rate as me. I am 26 got 2 kids my wife is pregnant with our 3rd I work for myself and I am passionate about investing gin property. There is not many 26 year olds that are the same as me. However I have used the internet to surround myself through people through forums and meeting up with people that I have meet on the internet or through meetup.com and I also have consumed a lot of information. I have consumed a lot of information from property experts and experts in the fields I want to go into. 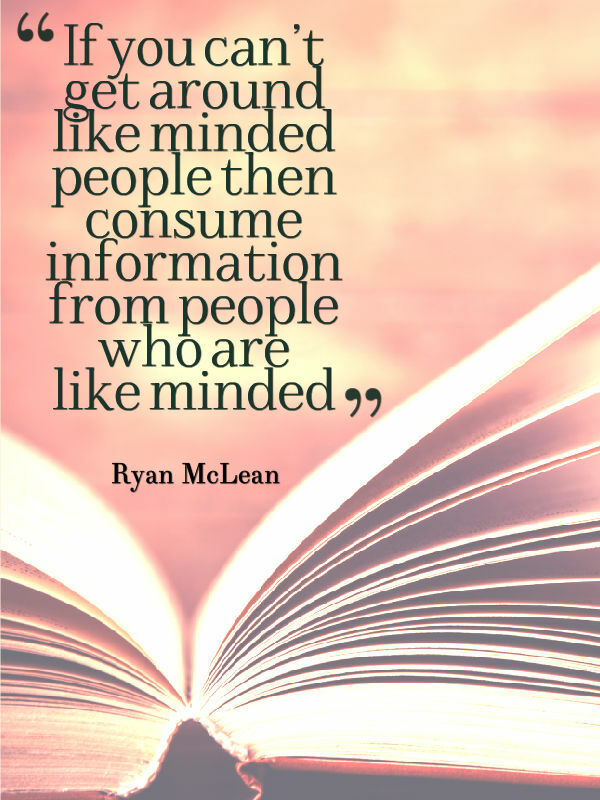 If you can’t get around like minded people then consume information from people who are like minded to you who are further along in the journey to you. Take it one day at a time. There is so much to learn about. As I said at the start property is big space to play in there is so much to know things about renovation, solicitors, paying deposits, financing and saving your deposits. There is just so much different things you need to learn in order to invest in property and it can seem overwhelming but don’t let it get you don’t just take it one day at a time. Just determine to take today and to learn something new today and when tomorrow comes learn something new tomorrow. I still believe that to be true. Long-term success isn’t achieved overnight, something doesn’t just happen that makes us wealthy and financially free instantly (unless you win the lotto). Everyday we take steps towards our goals or steps away from our goals. Take it one day at a time and take those step you need to take towards your goals. I am just about actually about to release an e-book called The Essential Guide to Buying Your First Property in Australia. In that book I have identified 21 major steps that you need to take in order to buy your first property and the goal of this book was to take that overwhelm and narrow it down to where you are at and what the next step is you need to take. Rather than trying to learn everything there is about property you can take it one day at a time and you can focus on your next step and how you can achieve your next step. I hope those ten pieces of advice helped you become a better property investor. Take those to heart and learn how to research and area and don’t decide too early on an investment strategy and when you decide you become a master at it and all the other piece of advices I have given.